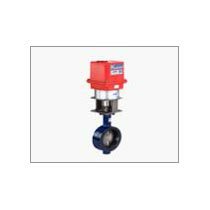 We are a renowned Importer and Supplier of Electrically Actuated Butterfly Valve in Karnataka, India. We have strong and close bonds with the reputed manufacturers who make use of preeminent quality metal and ultra-modern machines for their production. Our Valve is lined body, sure seal, compact in design having wafer end. Whether it is a small order or bulk one, we are committed to deliver the required order within the promised time period.